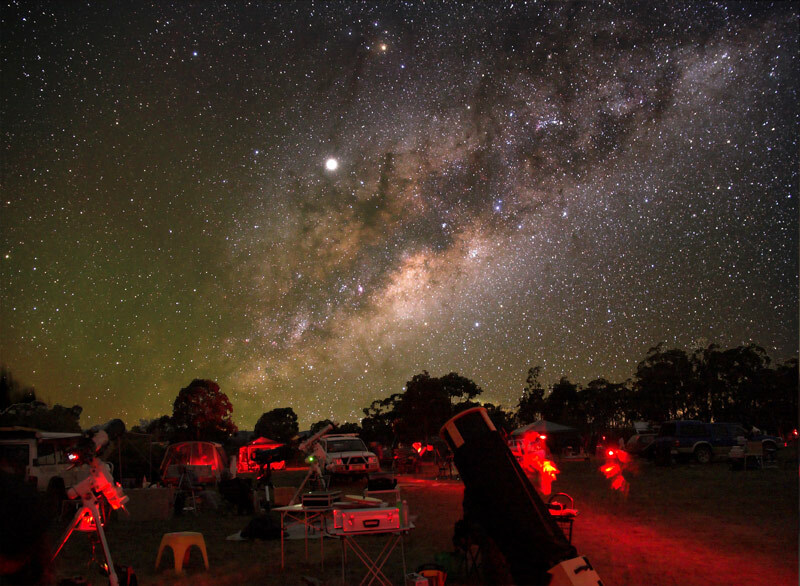 Each year, since 1993, the Astronomical Society of New South Wales has hosted the now famous South Pacific Star Party (SPSP), at its 107 acre (43 hectare) country property Wiruna near Ilford, NSW, between Lithgow and Mudgee, about 3 hours north-west of Sydney, through the Blue Mountains and into the NSW Central Tablelands. The South Pacific Star Party provides amateurs with the chance to meet other amateur and professional astronomers, and observe under dark skies with superb seeing conditions, through all types and sizes of telescopes. “Among the eucalyptus woodlands in New South Wales, Australia, there is 100 acres of land [Wiruna] designated for stargazing. Owned by a local astronomy society [the ASNSW], the land has both observation facilities and basic accommodations, though most prefer to camp. Each year, the society hosts a “South Pacific Star Party” during which 200 to 400 people convene for a weekend of star watching beneath one of the world’s darkest skies.” –Forbes.com, 18 June 2008. 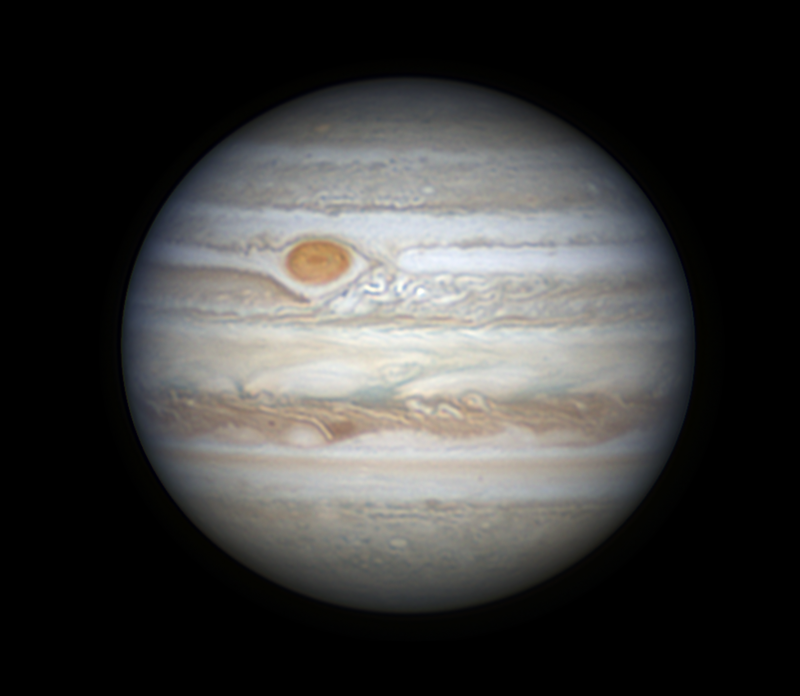 Jupiter is at opposition today which means it’s the ideal time for photographing this planet, with the largest apparent size for Earth based observers. 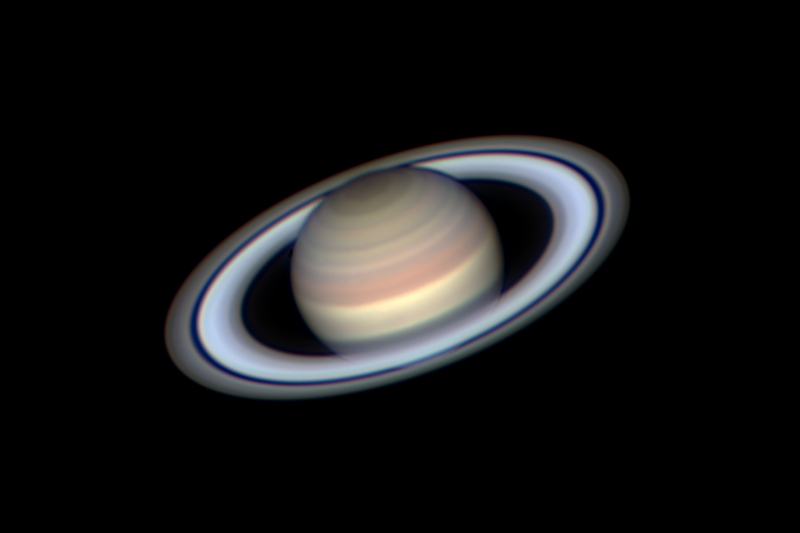 Saturn is at opposition today which means it’s the ideal time for photographing this planet, with the largest apparent size for Earth based observers. Would you like to suggest an event for this calendar? Fill out the form below. Please note we may not choose to publish the event but appreciate the heads up!